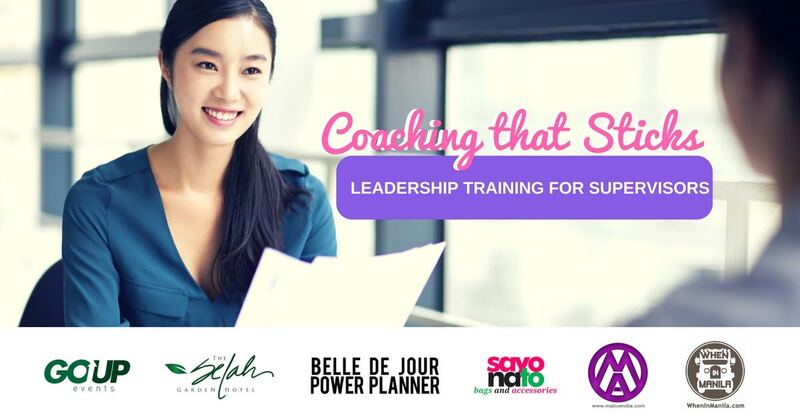 Go Up Events Manila (http://bit.ly/GEMCoaching) invites you to a whole day workshop to help you discover your coaching style, apply principles to communicate with different personalities, and get results using performance management techniques. Coaching that Sticks - Leadership Training for Supervisors is set on July 15, 2017 at the Selah Garden Hotel. The event is highly recommended for business owners and professionals who manage direct reports. Joining is also a great way for you interact with fellow practitioners and relax at the venue. Last Sunday my Zd bear was enjoying our Sunday activities and then in the afternoon he was active playing with the other kids in our church. In the evening while I was taking care of him and feeding him dinner, he was suddenly pointing on his left knee and said "mama, yayay"! (mama, it hurts). I checked his left knee and I saw a small wound it's like a bite of ants and it is flushed around it. I cleaned and put Betadine and also put hot compress for him to relax and help him to ease the pain. In the morning I noticed that there was pus in his wound and it's watery. In that morning also I felt so dizzy and I almost collapsed while outside. I was not feeling well. After our breakfast I decided to head in FGH Fairview General Hospital to have our check up. 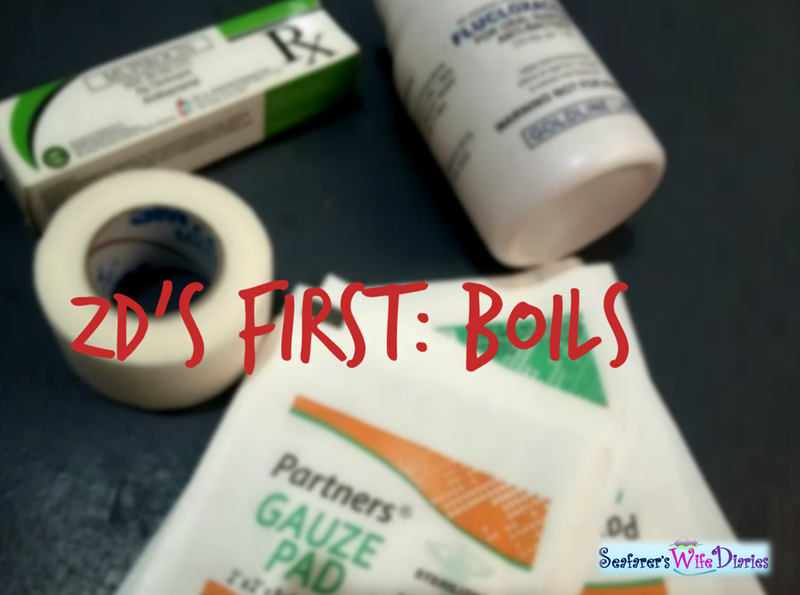 The doctor said to me that my Zd's wound was not a bite from an insects but it's a boil. So he cleaned and removed the pus. I am relieved and after buying all our needs we went home and took a nap and some rest. How does Marian Rivera make Garantisadong Ginisarap dishes? Marian Rivera-Dantes is used to playing different characters: Primetime Queen, recording artist, brand ambassador, style icon, and philanthropist. But her favorite roles by far have been those behind the camera: as wife to Dingdong and mom to Baby Zia. As a modern homemaker, who manages her time between work and family, Marian has found comfort in cooking as one of the best ways to make her family feel loved and to improve her culinary skills. On her social media pages, the Kapuso actress has posted some of her own culinary creations that range from baby food for little Zia, stews, soups, and veggies. And on days when Marian is short on time, stir-fry dishes have become her go-to choices for easy, yummy meals. Imagine working in a world where time seems to just past by and where almost everything changes instantly. Think of having to keep up with an environment where it costs a lot to stop or even slow down for a while. Sound taxing, right? What more of prioritizing the welfare of everybody in the household on top of it all. But every head of the family doesn’t mind about it. Fathers are said to be the pillars of our homes. They toil sun up to sun down to give our needs and desires. Some of them go abroad with tears in their eyes because they will be physically separated from their families. However, there is a certain joy in their hearts knowing that they will be able to provide for their loved ones back home. To honor these gallant paternal men and let them feel how extraordinary they are and important their sacrifices are for their families, Father’s Day has been a yearly universal event. As we mark again this special occasion on Sunday, June 18, 2017, our applause and recognition will never be enough to show them how grateful we are to have them in our lives. Our dads, together with our moms, take good care of us the moment we’re born. They are the ones who provide everything we need for our everyday lives. From infancy up to adulthood, they feed and clothe us. As we all know, last month was mother's day. Most moms celebrate it the way they want. The morning of that very day, I chatted Nilyn and asked her what we would do after our church service since it's mother's day, she said we must treat our selves by pampering in a salon. And also she suggested that would try to have facial with collagen and full body massage. I was so excited about our plan because she is right - as a mother, we need to take care of ourselves whether it's a mother's day or not we need to pamper our selves as a reward for the all the hardwork. But my excitement led me to tangled again in my house because I could not find someone to watch over my son and also due to other circumstances that hindered it. I was actually sad but I needed to accept the facts that it's always hard when your husband is away from you. One Monday morning when I checked my Facebook newsfeed, I saw Joy Andrada's post about the new product she's selling online: the Collagen soap with cream. When I saw it, it reminded me of the "facial with collagen" that Nilyn was telling me about. I looked and thought about it carefully. After a day, I decided to chat her and make my order. After 2 days I received it and I was so happy. 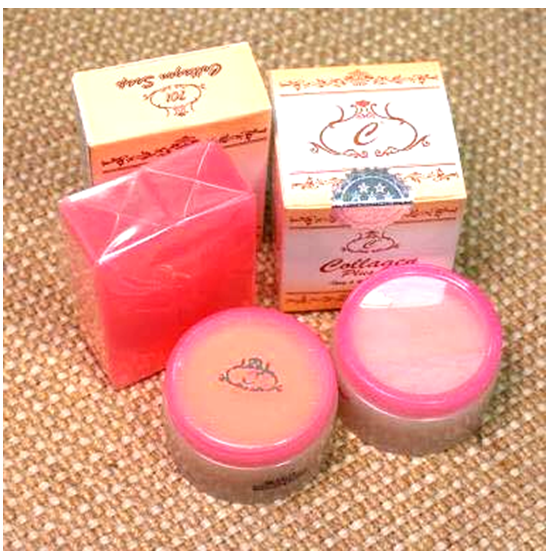 How to Apply Collagen Soap and Cream? I'm not too educated about our government here in the Philippines, terorist, ISIS, NPA, rebellion people against the government, or kung ano pa man ang mga pinaglalaban nila. But last week until now while watching news on the television I can feel the fear and pain of our fellow Filipinos who suffered and were trapped by chaos in Marawi Mindanao because of MAUTE group. May 23, 2017 on 10 p.m President Rodrigo Duterte declared Martial Law for the entire Mindanao because MAUTE group attacked Marawi City. 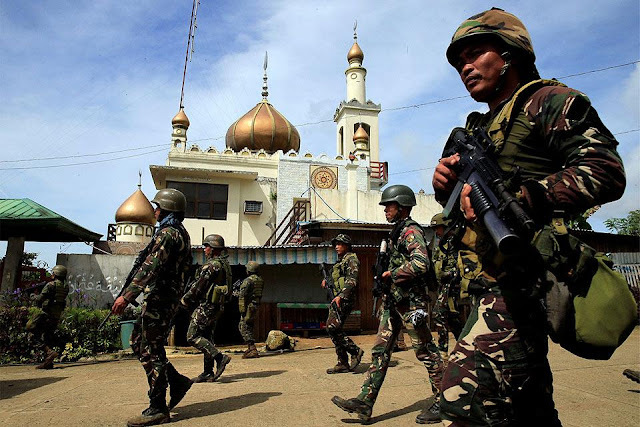 The Maute group entered the city and they ateempted to take over the hospital, burning some of buildings, raising and flying the flag of ISIS or Islamic State of Iraq and Syria inside the city of Marawi.